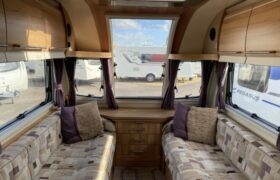 Bailey caravans boast first-class build quality and thoughtful design. Over the last seventy years Bailey of Bristol has deservedly gained a reputation for delivering award-winning design and unbeatable value for money. 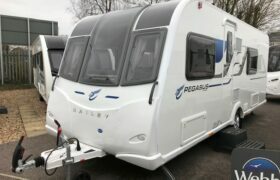 As a result Bailey is now the UK’s best-selling touring caravan brand, as well as being one of the largest in Europe. All Bailey Caravans are now built using the Alu-Tech construction system, the first of its kind in the UK caravan industry. This Alu-tech system is unique because the individual bodyshell components all contribute to the strength of the structure rather than a sole reliance on the floor and chassis. Webbs Motorcaravans Ltd and Webbs Caravans Ltd are authorised by the FCA with limited permission to conduct certain credit related activity. We are a credit broker and can introduce customers to a limited number of lenders who provide funding. We may receive commission or other benefits for introducing you to such lenders.